Meet the students and teachers who make up this ballet class, where dancers overcome shyness and use their imaginations to create beautiful movement. 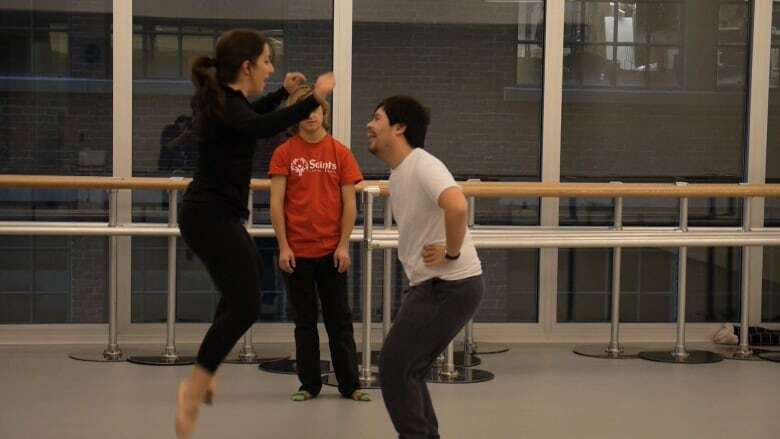 In this class at The National Centre for Dance Therapy at Les Grands Ballets Canadiens de Montréal, the dancers are re-defining the limits of traditional ballet. The students are kids and adults with Down syndrome, and they're learning new moves and ballet steps. Two teachers with backgrounds in both dance and occupational therapy help the pupils express themselves through structured ballet exercises and contemporary dance. The instructors also focus on instilling important skills for daily life including concentration, memorization and coordination. And it's been emboldening for the participants in the class — every Sunday, about eight of them learn to jump, make new friends and have fun. "When I was 15 and I started dancing, I was shy. And I'm not shy anymore, so now I'm brave and I like this dance," says 15-year-old Ethan Ziri. In this video, watch a typical Sunday class with the students and get to know the teachers, Tracey and Sue. Find out more about The National Centre for Dance Therapy here.